The Clairol Color Expert builds on Coty’s digital innovation strategy, which focuses on insight driven, consumer-first and category level solutions to consumer problems through emerging technology and new platforms. The Google Assistant is a key player in the rapidly growing voice market, available on more than 500 million devices, across Android phones, iPhones, smart TVs, Chromebooks, and on smart speakers such as Google Home and a new category of devices called Smart Displays. It serves as an ideal platform for a beauty assistant given its depth of reach, especially amongst 18 to 34-year-old women who buy at home color. The ability for millions of women to be able to access a personalized hair color assistant across different touchpoints and devices – whether at the shelf via their smartphone or in the home on their smart display or speaker – is an important advancement for the at home hair color category where consumers often feel overwhelmed by the challenges associated with coloring their own hair. 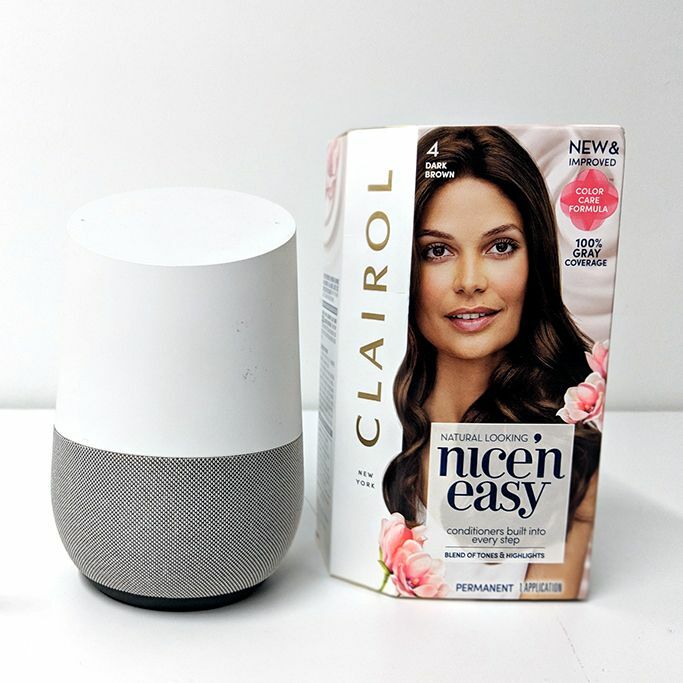 Clairol’s Color Assistant was built by Beamly, Coty’s in house MarTech agency, and Voxly Digital, a leading Voice developer.